Conversational marketing is a one-on-one marketing channel that gives the customer a more personal experience. Unlike traditional marketing tactics (facebook messenger or social media in general), conversational marketing uses targeted, real-time messaging to engage with potential customers. This is often completed using bots. Bots are a great tool, because they allow potential customers to engage with your business when it is most convenient for them. Bots are live on your website even when you are sleeping at home. The 24/7 live chat feature makes customers feel like they are always cared for by your company. Conversational marketing is more than just a live chat feature (or messaging apps) on your website. It’s all about connecting with the potential customer, and turning them into qualified leads. Depending on your company, marketing tactics like face-to-face meetings, phone calls, or email marketing exchanges are also forms of conversational marketing. Answering peoples’ questions and listening to their feedback will make them trust you, and in turn do business with you. If conversational marketing sounds like a daunting task for your business to tackle, know you don’t have to do it alone. There are industry experts that can lead you on a path to success. 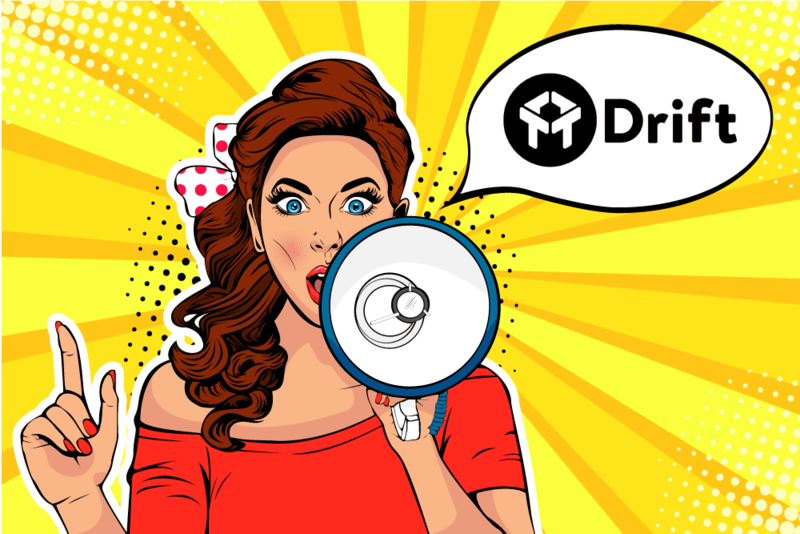 Drift is the world’s first and only conversational marketing platform. Their expert marketers have boiled conversational marketing down to a science. Drift utilises five proven practices of conversational marketing to help your company grow and thrive. You can now access all of the benefits of Drift through Refuel Creative. Refuel Creative and Drift have partnered together to bring you a better approach to marketing. At Refuel Creative, we act as an extension of your management team. We aim to get your marketing running smoothly, rid your company of any perceived pain points, and bringing in new customers with complete measurement and transparency of your return on investment. Our latest partnership with drift will extend our reach even further with a focus on customer success. By accessing Drift’s proven methodology, we can help turn viable leads into customers, growing your base and bottom line. As mentioned before, Drift utilises 5 conversational marketing practices that can help your business grow: real-time, scalable, focus on engagement, personalised, and built-in feedback. Instead of having customers fill out a form, conversational marketing captures leads in real time via online conversations. These conversations can be either person-to-person or person-to-chat bot. 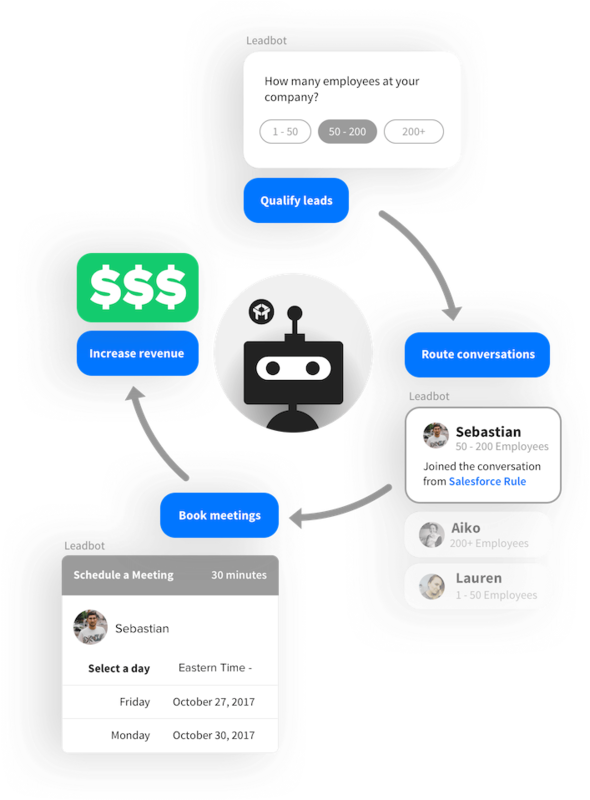 By offering chat bots, Drift ensures your customers always have someone to talk to from your company, ensuring all their questions are answered. One-on-one conversations are not a new marketing concept, however, in the past they weren’t scalable. Real-time messaging changes that. With the rise of chatbots, your sales reps now have the ability to talk to every qualified lead that lands on your site. This eliminates the need for lead capture forms, and ultimately enhances the customer experiences. Since conversational marketing typically relies on the customer reaching out to your marketing and sales team, this method has a high focus on engagement. Instead of passively collecting contact information, your company is encouraged to have actual conversations with leads. This can help you understand what products and services they are interested in. Therefore, when you send them an email follow up, you can personalise the information you are sending. Speaking of personalisation, one of the main benefits of conversational marketing is talking with customers. Since you are having detailed conversations, there is always a chance to personalise the customer’s interaction with your company. If you have never talked with a customer before, you can still send a personalised message depending on the page they are on. These can be phrased as qualifying questions. For example, if they are looking at an item you sell, you can send a message saying, “Hey, we see you’ve been on this page for a while. Can we answer any questions?” If you have interacted with the customer in the past, you can send a message based on their previous buying experience. While interacting with your customers, they will be able to instantaneously share their personal experience with your company. This feedback can help your company make important decisions about your products, content, and marketing strategy. With content marketing, this important feedback will not get lost in the sales pipeline. Instead, it will be available for your company to make real-time changes. When you sign up for Refuel Creative, you aren’t just getting the amazing conversational marketing strategy from Drift. Drift also integrates with HubSpot to help your company achieve better sales conversations. With Drift and HubSpot’s combined services, not only are you able to talk to potential customers while they are on your site, you can also see all of their activity on HubSpot’s contact timeline. This allows sales reps to reach out to qualified leads about specific activity. If a customer was recently looking at your pricing sheet, marketers can send personalised emails about your pricing that also includes a follow up from conversations they had in your chat room. This gives every prospect a personal touch. If your business wants to expand, you shouldn’t get stuck in the same old sales cycle. By taking advantage of conversational marketing, you can quickly turn leads into sales. With conversational marketing, customers are already looking at your website. There is not costly outbound marketing tools needed. Instead, you are simply putting the human touch back into your business. By taking time to answer potential customers’ questions, you are letting them know you care, while simultaneously collecting valuable data that will help your business thrive.